"Incredibly powerful free animation tool created by the masters of the field." This is a free open-source 2D animation software "developed" by Studio Ghibli. It's incredibly powerful and it's free! The interface could be a little more aesthetically pleasing. It basically looks like an old Windows application. There's also a steep learning curve with very little sources for learning. You really have to be willing to learn how to use this program on your own through a lot of trial and error. Unlike much bigger name software (think Adobe AfterEffects) there is very little support, and very few tutorials to be found on this program. But if you're willing to push through, you'll be able to use the open-source version of a tool developed by the masters of animation. I use this software primarily to learn animation and for freelance projects. This software has the capabilities I need for full-length animation feature films with way more tools than I can ever imagine using on my own, and you really can't beat it for the price. "Heavy Learning curve but worth it!" I like that this program is free and very powerful. I enjoy the layer options and the fact that I draw each frame by hand. There's a lot you can do with this program. I mainly use it to practice animation techniques. There is a really really heavy learning curve with this program. I advise watching a lot of tutorials before really diving into this program. A lot of options like lowering the opacity and onion skinning are hidden. You've really gotta search for these I feel. Maybe redesign the app for better user interface or include some tooltips or a series of tutorials. I can create hand-drawn animations without any time limits or restrictions. I like that I am able to plan out my animations ahead of time before moving into 3D animation. It helps my animation and improves the quality dramatically. This software has a bit of a learning curve, but otherwise it works well for what I need. There are also some other features I would like added, but it gets the job done. The ability to plan out animations ahead of time before going in 3D in opentoonz is very helpful. * We monitor all OpenToonz reviews to prevent fraudulent reviews and keep review quality high. We do not post reviews by company employees or direct competitors. Validated reviews require the user to submit a screenshot of the product containing their user ID, in order to verify a user is an actual user of the product. Hi there! 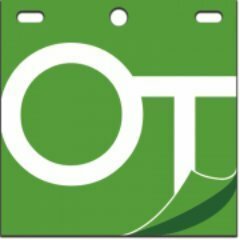 Are you looking to implement a solution like OpenToonz?